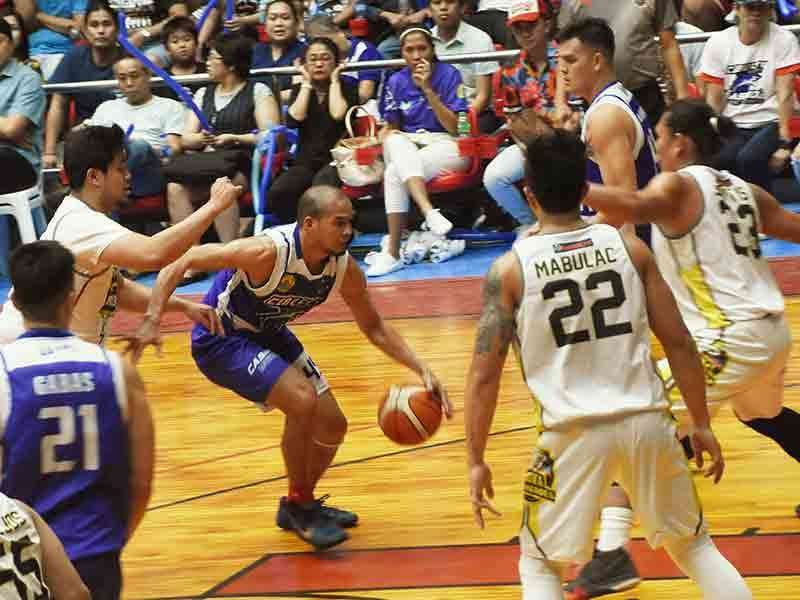 FOLLOWING a sensational win over the higher-seeded Muntinlupa Cagers a few days ago, the Cebu City Sharks look to continue the momentum when they face the Mandaluyong El Tigre in the Maharlika Basketball League (MPBL) Datu Cup on Satuday, Jan. 26, at the AUF Gym in Angeles City, Pampanga. The Casino Ethyl Alcohol-backed Sharks are on a mission to extend their win streak to five games against the struggling Mandaluyong side, which is currently on a four-game slump. The Sharks have picked up things at the right time and are now at fifth place in the South Division with a 10-11 (win-loss) record, completely recovering from a flat start of the season. With four games left in the elimination round, a win against Mandaluyong, which has a 7-12 slate, should improve Cebu City’s chance of securing one of the eight playoff spots. The Sharks also has a fighting chance to catch up with the fourth-ranked General Santos Warriors, which has a 10-9 card. Trailing behind the Sharks for the playoff spot in the South Division are Bacoor City Strikers (9-9), Imus Bandera (9-10), Laguna Heroes (9-12), Zamboanga Family’s Brand Sardines (8-11) and Parañaque Patriots (8-12). The Top 8 teams in both the South and North divisions will advance to the playoffs, which will follow a home-and-away format. In the game against El Tigre, the Sharks will count on their top scorer in Cebuano Patrick Cabahug, who tallied 17 points, eight rebounds, two assists and two steals in the 80-73 win over Muntinlupa on Jan. 19 at the Marist School Gymnasium in Marikina City.